Did you hear the news? The EOD Warrior Foundation has moved! 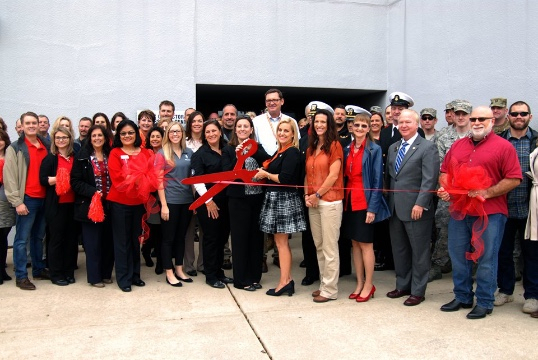 In January, the EODWF team relocated to Niceville, FL, the home of EOD, and celebrated the office opening with a ribbon cutting ceremony. The EODWF team is excited to be in Niceville and looks forward to becoming an integral part of the local community. The new EODWF office is located at 701 E. John Sims Parkway, Suite 305. We are excited to showcase a new series for the EODWF newsletter! The ‘Spotlight On’ piece will feature one of our EOD Warriors, caregivers, spouses, or other retreat attendees and their first hand experiences at these events. For our inaugural Spotlight On piece, EOD Warrior Derek Bowman shares his experience at the Wild Horse Warrior Retreat in October 2015. Growing up in Tennessee, I did not give much thought about joining the military. I had uncles and grandfathers who were in the service, but never imagined the military lifestyle for myself until August 2002. I came into the Army as an E-1, attended basic for Field Artillery, was a cannon crew member or 13B, and went on my first deployment to Iraq from 2005-2006. It was on this deployment I met some EOD soldiers and gave some thought to becoming an EOD technician. In March 2008, I graduated from EOD school and received orders to Ft. Bragg, NC where I was assigned to the 767th EOD. During my deployment with the 767th, our JERRV was struck by an IED on July 25th and on our way into a village on July 28th, I was shocked by power lines. As a result of these incidents, I sustained a fractured L5 in my spine and a TBI. Since the incidents, I still deal with the results of the electrical shock to my heart and PTSD. Last October, I was given the opportunity to attend the Wild Horse Warrior Retreat at Apache Springs Ranch just south of Tucson, AZ. 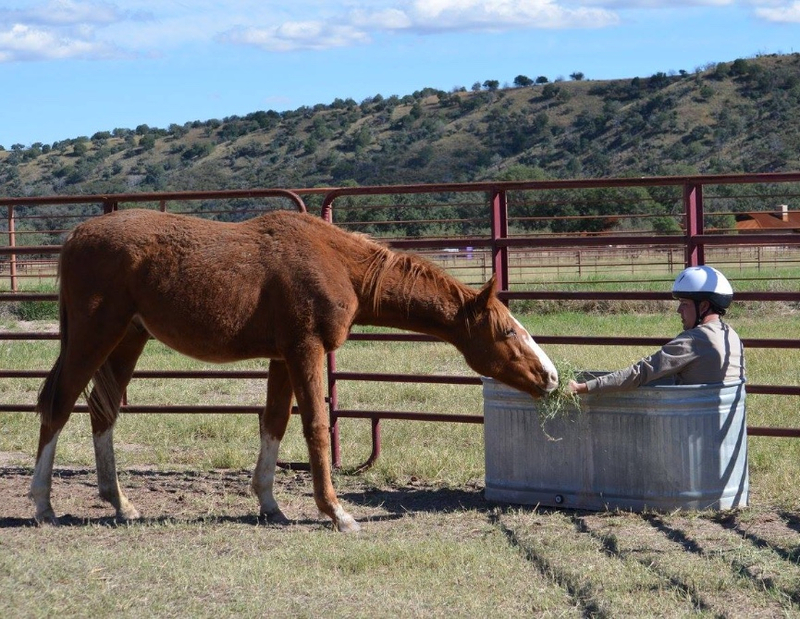 Apache Springs Ranch has created therapeutic activities to teach coping skills and bring healing to warriors suffering from PTSD and other personal struggles while working with wild horses. 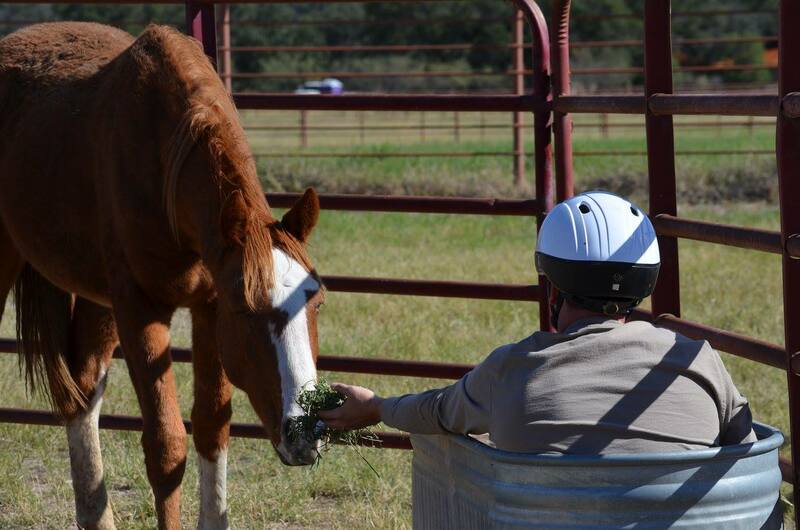 It was an amazing experience to work with the wild horses, connect with fellow EOD Warriors who are suffering and facing personal battles, just like me, and to learn different coping skills on how to fight PTSD. Spending time and connecting with Doyaa’bi allowed me to see the fear within this creature. Fear of the unknown. Doyaa’bi opened my eyes to my own emotions, brought out a side of myself I had not known for quite some time, and gave me a newfound purpose in life. After spending time with Doyaa’bi, I was presented with the chance to adopt this incredible animal who changed my life. Having the opportunity to give this horse a home at a ranch here in Tennessee, where he can grow and thrive, has filled the void in my life. I would strongly enc ourage other warriors to attend in the future. The opportunity to connect with fellow EOD Warriors, learn how to face your personal battles, and build a relationship with the wild horses is life changing. To any warriors considering attending, this is an opportunity to feel part of a team again and to rediscover a part of yourself you once thought was lost. 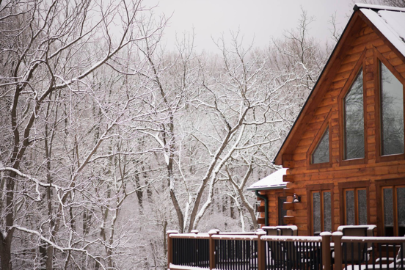 Our first retreat of 2016 was held this month for EOD Caregiver Spouses at Boulder Crest Retreat, nestled in the beautiful Blue Ridge Mountains of Virginia. This location proves time and again to be the perfect setting for reflection, healing and connection. We even had a light dusting of snow, which added calmness to the already serene space. We were so honored to serve 12 EOD Caregiver Spouses over the weekend. Many things were witnessed as these women learned that they are not alone, their feelings are real, and they deserve to be treated with love and respect. For many, the small steps are what count, and for others a renewed sense of self was just enough. Our non-profit partner Courage Beyond, along with their phenomenal staff, continues to amaze me with their preparation, caring and compassion, that they pour into every detail of making the retreats a unique and personal experience. This retreat was filled with opportunities for these spouses to express themselves through creativity, equine therapy, and journaling along with many group activities. “Thank you for all of the personal touches and thoughts into the gifts for us. Thank you for the emotional support as I let my guard down and broke down several things. I will never forget what I experienced here and I will remember each of you and the conversations we had." A special thanks to the Courage Beyond team, Boulder Crest staff, and most of all to our participants for trusting us. It is our pleasure to continue serving this community and growing our programs to meet the needs of the EOD family. 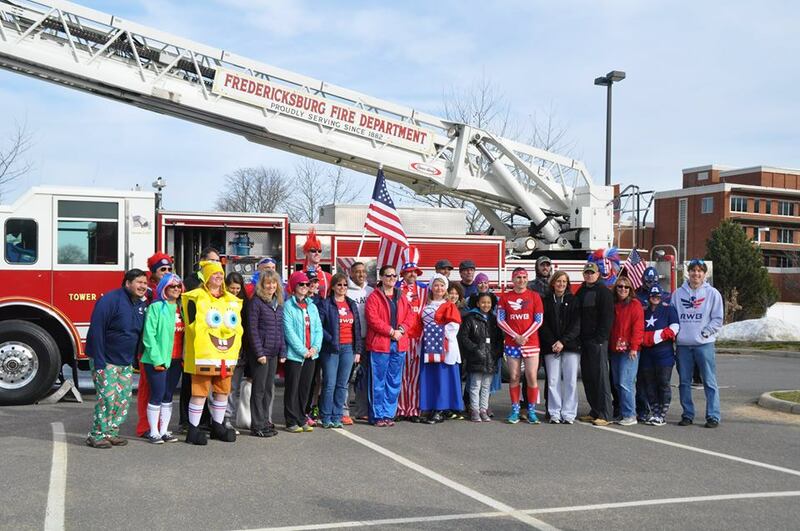 2016 brought record turnouts at the 4th Annual Schwartz Memorial Plunge, Annual Polar Bear Blast, and the Annual EODWF Penguin Plunge. 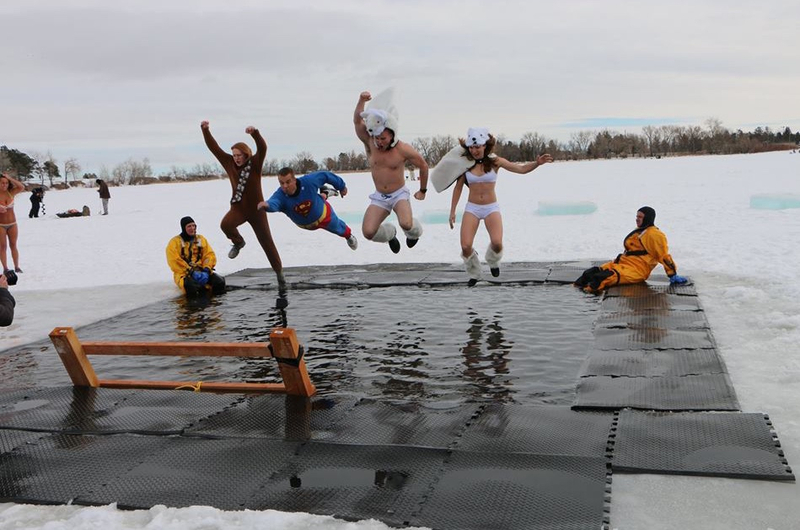 With more than 450 participants willing to brave the frigid temperatures and stormy weather by plunging (or being blasted by fire hoses), the plunges raised over $35,000 for the EODWF. Thank you to the Matthew S. Schwartz Memorial team, Jason and Beth Souza, the Navy EOD Association Chapter 11, the hundreds of participants in Wyoming, Virginia, and Florida, and all our volunteers for making these events a huge success! Thank you to our amazing fundraisers and donors!